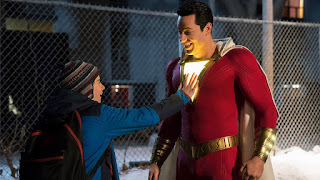 "Shazam" dropped it's first teaser trailer at Comic Con as part of the giant DCEU panel hosted by WB in Hall H. As this is the first large-scale introduction the Shazam character has had to the mainstream public, the trailer was designed to show some context to Shazam's origin story. Young Billy Batson is an orphan that moves into a new foster home and after defending one of his foster brothers from some bullies, meets an ancient wizard on the way home that bestows superpowers on him. With a simple utterance of the word "Shazam!" Billy is transformed into an adult superhero form (portrayed by Zachary Levi). With some understandably childish antics and jokes, being that the central characters are children themselves, this is sure to be the most light-hearted in tone of the DCEU films thus far. 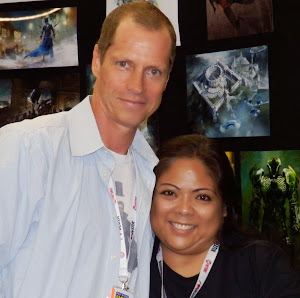 However, there were already numerous displays to tie this film in with its predecessor, including newspaper clippings about Superman and a batarang belong to Batman. 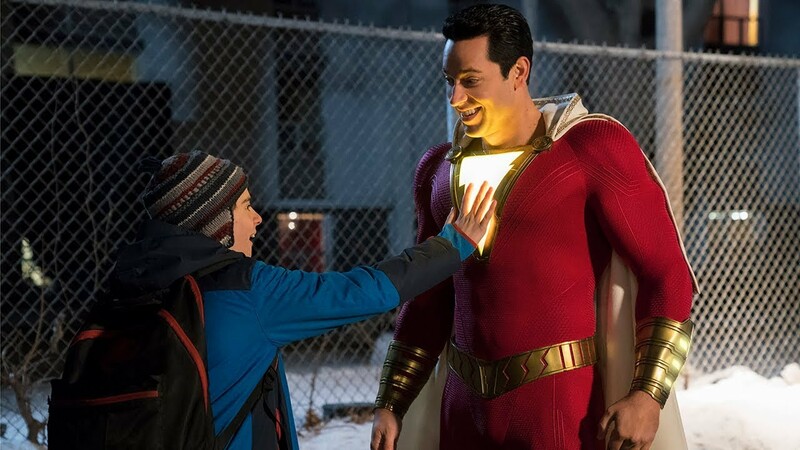 "Shazam" will be released in theaters on April 5, 2019.